My jaw dropped when I saw the deposit. IMMEDIATELY I logged into my school account to view my paycheck and find out what happened. And, as it turns out, it’s a combination of things. Only…those deductions shouldn’t equate to half my paycheck! After a more careful inspection of my paycheck I realized I’m getting paid the wrong amount!!! I’d been hired at ($X) over a 9-month contract. That way I can either take summers off or, if there’s additional work, I can get paid extra to work over the summer (essentially securing a 25% “raise” by working over the summer). When I was hired the business manager said that most faculty members prefer to have their pay spread over a full 12 months so they don’t go without pay over the summer. She could show me how to do that. I said thanks, but never pursued it. In my own mind, I’d rather get my money up front within the 9 months. Hubs still gets paid over summer, we could set up some type of “savings” to set aside some money for summer, or I could just hustle and try to teach over the summer for additional income. But, no, I was not a huge fan of just letting them keep my money and divvy it up over 12 months. I want as much as I can get now, thank you very much. So when I calculated what was going on it was easy to see. Apparently I’d somehow been opted into the 12-month pay cycle instead of getting paid over 9 months as I’d intended. That essentially makes my income drop 25% (since it’s being spread over an additional 3 months). Soooo, what would you do? My knee-jerk reaction is to go to the business office and ask them to correct it. I want to get paid over 9 months, not 12. But are there any great reasons to keep my pay over 12 months? Anything I’m overlooking? One additional piece of information is that if I opt for 9 months of pay, then I get double-dinged for insurance payments in the Spring semester (in order to cover the unpaid summer months). If I stick with the 12-month cycle then the payments stay the same year-round. I am a counselor at a high school and we get paid equally throughout the year, bit at the end of June get all our summer pay at once, 5 pay checks at once. They are like 5 individual check, so no extra taxes taken out. I’d keep the equalized pay, I’ve had that at a different school and liked it. It made budgeting easier when I knew exactly how much I was getting. It would also probably be worth going to the IRS website and using their calculator to check your withholding. The standard withholding ends up with me getting a massive refund, and I would much rather not have the government hold my money without paying interest, thank you. With all the deductions you guys get for children, self-employment etc. your withholding may be very off as well. Good point! Thanks for the tip! I would prefer a set amount each month for all of 12 months. It is difficult to control a budget with a fluctuating income. My husband and I are both teachers. My pay is spread out over 12 months and I get all of my summer checks in June, My husband gets pay checks only for 10 months. He has no option for 12 months. It makes it incredibly hard to budget. There’s a lot of saving only to spend it during the summer and it feels like more budget busters come up during the summer months-weddings, family trips, car repairs. I end up feeling like a hamster on a wheel where the money we save doesn’t increase our net worth. We have both worked summer school at various points, but it’s not enough to replace his entire pay so instead we use it as extra money and just save for the summer instead. I would also do the 12-month pay. But – since your summer months due to your hubby’s business are stronger, you could budget the 12-month pay as 9-month pay and use the additional 3-month pay as savings (down payment for house for example). I hope I will soon be in your position – I had an in-person interview on Friday and got an email from the recruiter to ask if I have time for a phone call this afternoon to follow-up. I worry it might be a rejection. With grad school scholarship ending soon, this has me very worried! Good luck, Anne! Not sure if you’re going into academia but if so I’ll say you would certainly NOT get a phone call rejection. I’m a pro in academic rejections at this point. They will either (1) email, or (2) send no notification at all. If you’re receiving a phone call AFTER the interview, it’s probably to offer you the job (or set up a time for you to come in person to do negotiations if you live in the area). Many congrats!!! Let me know how it goes! My advice: Go to Personnel first and talk it over throughly. On job exchanges we went from 9 monthly pay checks to 12 monthly and found it to be a blessed relief–knowing where we stood was very important. Also, you will pay less tax although it would come back as a refund. I would have it corrected so you’re paid over 9 months. There’s no reason to have your pay spread out over 12 months other than the reasons you mentioned above. It’s great they offer the 12 month option for those who need a consistent paycheck but you’re not in that position. Oh, and don’t worry about being a burden to your employer by correcting this. It should be a simple fix by the payroll department. Thanks! That’s definitely a thought (re: being a burden). It hasn’t even been a full month since I started the job and I feel like there have been a LOT of administrative things to tend to. Luckily, I’m catching all these “snags” during the summer when it’s a little bit slower than compared to the academic year. I think I would go with the 12 month option. 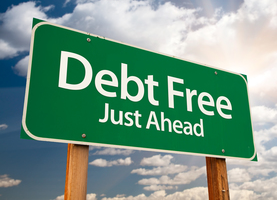 Peace of mind might be worth it…..and then any extra monies would go toward debt, savings, vacations, etc. For most people I would say do the 12 month spread. HOWEVER, you guys live on last months income right now and have A LOT of experience with income in flux. I think you should do the 9 month spread. Your car loan is accruing interest today. Get your money today to pay your debts. “your car loan is accruing interest today” -YES!!!!! I live in Canada and am a teacher. We have the option to get paid over 10 months (the school year) or 12. I have always chosen to get paid over 12 months, as well as my husband (who is also a teacher). We love it because we know that in the summer we can keep the same budget, generally know what is being deposited into our account, and can be ensured that our bills and everything is taken care of, as well as some fun! Generally, our summer checks are a little bit more because they don’t take certain deductions off. 12 months of equal pay = steady, guaranteed income. I knew one prof (in fact the only one I knew of in the Engineering College) who stayed on 9 over 12 pay. His rationale: every summer he had enough research money to pay the 3 summer months. That money came on top of his deferred pay from the academic year (working out to 3 months at 175% of his monthly salary on a 9 over 9 contract). He used the summer to completely fund his max 403B contributions, so he didn’t really see it or miss it. But if for some reason he didn’t get his funding, or when he went on sabbatical, it wasn’t a family budget crisis. In the 8 years I was aware of his funding, he never missed filling out his dance card, but he liked the security. Can you make a household budget that is based on the 9 over 12 rate? I am a teacher and have the option to go 10 months or 12 months pay. I get paid over the 10 months and do an automatic deposit to a high interest savings account each month. This gives me the money during the summer- the same take home as I get the other 10 months but I also get to earn a little interest on it. I do short term GICs sometimes as well. THIS is a really great idea!!! You’ll get that $500 back from the FSA when you turn in daycare receipts at the end of the month. I do the same thing and run $5000 a year through my employers dependent care FSA and you are really only living without that money the first month. After that yes it is deducted but you are being reimbursed the previous month’s deduction. Hope that made sense. I’d definitely talk to someone. At the University that I work at, we do both 9 or 10/12 or just a straight up 9 or 10 month appointment spread over x amount of pay periods (19.5 for 9 month, I think? I can’t remember off the top of my head). We don’t start the 9 month pay until the end of August, since the academic year runs from (this year) 8/31 – 5/26. Faculty and other 9 month employees have to decide if they want to be paid over 12 at the beginning of each fiscal year (last pay period in June) and then cannot change again until the next fiscal year. If you’re working NOW, it might be that they’re putting you on biweekly pay based on a 12 month contract, since I doubt your job is going from July – April? Without knowing how Arizona does things, it’s hard to say for certain, but it might just be something like that. Like a previous poster mentioned I’d go with the 9 month option. You are used to budgeting based on inconsistent paychecks, so this would be no different. Plus paying off debts before they accrue more interest is a win for you. You are so adept at budgeting, managing an irregular income, and being fiscally responsible that you will do well either way. After you take out all your deductions and then figure out the tax percentage…not a huge difference. Just mentioned it because some people love to play taxes to maximum advantage, even on small amounts.